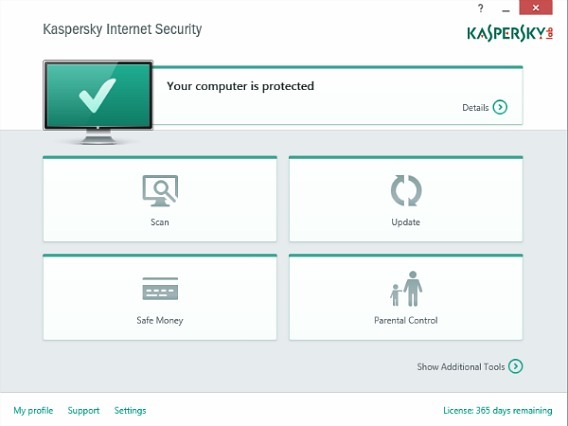 Kaspersky Internet Security (KIS) 2015 is an award-winning internet security product that delivers all-in-one security which protects users from all computer and Internet threats. It combines Kaspersky lab’s leading antivirus software to provide strong protection against viruses and additional layers to complete protection of computer from all various digital threats while you’re surfing the web, including a Two-Way Firewall, a Proactive Defense component offering protection from unknown threats, a Privacy Control component providing protection from Internet fraud, and a Safe Money component which protects your money during online banking, shopping and financial transactions. Kaspersky is giving away free 3 months trial license key with update subscription for Kaspersky Internet Security 2015. Kaspersky Internet Security 2015 normally costs at $79.95 for one year license key on 3 PCs. Enter the name, email address, and all details, and then click submit. An email confirmation containing the license key for Kaspersky Internet Security will be received. Note: If the e-mail hasn’t arrived within 15 minutes, please check your spam, junk, or promotions mail folder to locate it. Install and active fully functional trial with received license key. Kaspersky Internet Security 2015 supports Windows Vista, Windows 7, Windows 8, and Windows 8.1 operating system.